As an owner of a startup business, you may have to don multiple hats and perform different and disparate roles in your organization. Often, that means dividing your time, focus and attention between different matters. Tasks like poring over the company ledger, finding and hiring the right people, and talking to potential clients and suppliers will each vie for your attention. But like time, you only have a finite amount of focus. And without focus, you cannot really achieve momentum to do any real work or lay down the foundation that will help lift your business off the ground. 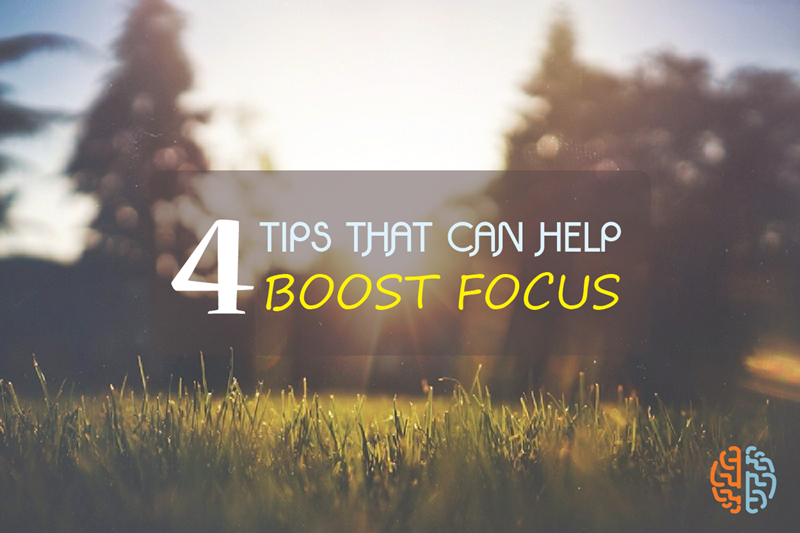 The first and most important thing that you need to know about focus is that it can be depleted. But if it can be depleted, definitely, it can be replenished. How? Burning the midnight oil may seem par for the course for startup business owners. You might be thinking that putting an inordinate amount of time into your business is good. However, it&#39;s not just the sheer number of hours that you commit for your business. Equally important is quality. If you do not get adequate sleep and rest, you will find your cognitive capacity diminished. This means that you cannot arrive at creative answers to your current problems or generate novel ideas because your mind latches onto what is quick and easy to it. If you want to improve your focus and set yourself up for creative answers, you need to give your mind and body enough sleep. Multi-tasking simply does not work. The main reason behind that is that the human brain has evolved in such a way that it cannot handle several tasks that require mental power all at once. At the most, the brain can handle nine tasks that involve the use of short-term memory. Instead of trying to do everything all at once, focus on what is important and finish that before moving to the next task. Whether you work in an office or from home, there will be several other things that will vie for your attention, from the constant ringing of the phone to the chatter of your employees to social media. Set yourself up for success by removing as many things that distract you as possible. Guided imagery, also known as guided imagery meditation and visualization meditation, is a technique that utilizes visualization to help a person achieve a desired outcome. How can you use guided imagery as a business owner? If you find yourself easily distracted or if you want to achieve mental clarity and calmness, you can use guided imagery by visualizing yourself achieving the outcomes you desire. Those outcomes can be as simple as finishing your paperwork or as complex as arriving at a creative solution to a nagging problem.